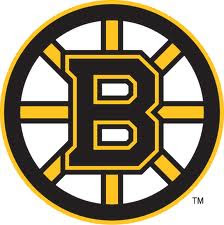 All presenting donors will receive a commemorative Boston Bruins and American Red Cross tee shirt. To schedule your appointment for this blood drive, please call 800.733.2767 or log onto www.redcrossblood.org. A Valentine's Concert featuring the The Male Bonding Band and the jazz quartet The Barn Goats will take place in Bridgewater. Light rock, folk and jazz for Valentines and families. Location: First Parish Unitarian-Universalist Church, 50 School Street, Bridgewater, MA. Cost: $7 per person; kids 12 and under free! All proceeds go to support the work of the church. For more information: 508-697-2525 or www.firstparishbridgewater.org . Bridgewater Art & Custom Framing is hosting a February Vacation Art Camp for students. The art camp runs the entire week of February vacation, Monday through Friday, from the hours of 9AM to Noon. The art camp is $165.00 for the week or $40 for a single day of art camp. Students will work with foil art, crayon rings, stained glass inspired portraits, styrofoam head collages, found object pendants, pottery and more. For more information and details on how to register, go to http://www.wix.com/bridgewaterart/bart. Planning for the 2011 Bridgewater Farmers Market has begun and it appears as though the markets will be held Saturday mornings on School Street (off the town square). If you would like to become involved in making the market a success, you are invited to a planning meeting on Tuesday, February 8th at 7:00 PM in the upper hall of the First Parish Bridgewater Unitarian Universalist Church (50 School St.). We just received word that the Bridgewater Food Pantry is in need of specific items and we're hoping we can all help. Needed: ketchup, mayo, mustard, pancake mix, syrup, cereal, rice, rice pilaf, jelly, peanut butter, instant mashed potato, canned fruit, cake mix, crackers, juices (bottles and juice boxes), coffee, tea. They can be dropped off at Central Square Congregational Church M-F, 9am-1pm. Thank you, Bridgewater! Take a night off from cooking and cleaning and help a great cause! 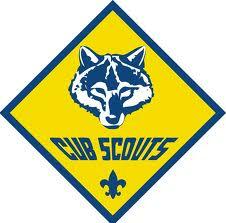 Bridgewater Cub Scouts Pack 88 is holding a spaghetti dinner this weekend. It's an inexpensive way to have a hot meal and help a great group of terrific boys. Tickets may be purchased from Pack 88 families or at the door the night of the event. Bridgewater Girls Basketball invites you to join them for their Third Annual “Evening With The Brian Buckley Band” on Saturday, February 5th from 7:00 pm until Midnight at the Bridgewater Vets Club. One of the most popular groups on the South Shore, The Brian Buckley Band is back by popular demand and is reuniting once again to help Bridgewater Girls Basketball fund its mission of teaching the game of basketball and developing life skills for girls from Grades 3-10 in the town of Bridgewater. In addition to live entertainment, there will be auction and raffle items available at this year's event, including a ticket package for the upcoming Celtics-Lakers game at TD Garden. Tickets for the Third Annual Evening With The Brian Buckley Band can be purchased in advance for $15.00 per person using a credit card on the Bridgewater Girls Basketball website by clicking on the "Online Store" link. http://www.bridgewatergirlsbasketball.com/ Tickets will also be available at the Vets Club door on the night of the performance for a cost of $20.00 per person. America's Little Angels Preschool is having an open house on Monday, January 24th from 6PM to 7:30PM. Any parents interested in enrolling their child or children in preschool should plan on attending the open house to learn more about the programs offered at America's Little Angels. AARP tax volunteer Dean Strict will be available this year to assist senior citizens with their taxes. This free service will begin on February 10th and will continue every Thursday through April 14th. Dean will be available from 9AM to 3PM at the Cole-Yeaton Senior Center. Appointments will be scheduled every 20 minutes by appointment only. You must contact the Senior Center at 508-697-0929 to make an appointment. Central Square Congregational Church, on the common in Bridgewater, celebrates its 50th anniversary in covenant with the United Church of Christ (UCC), January 30th, with a 10am church service featuring guest preacher Rev. Dr. Jim Antal, President of the Massachusetts Conference of the UCC. Please join them for a celebratory service with a great music program and the words of the state’s UCC leader, as well as a full meal following. The Coastal Quilt Artists (CQA) will be exhibiting their work at the Bridgewater Public Library through the end of February. CQA have been prizewinners for their “slice” quilts at the International Quilt Festival in Houston, Texas. Exhibitors are: Geri Barr, Lynne Conover, Betty Crowell, Janet Duncan Dignan, Janet B. Dye, Sandy Gregg, Anne Marcin, Penny Myles, Graciela Piccolo, Joan Randall, Mary Lou Schwinn, Pat Smith, and Bobbie Sullivan. The public is cordially invited to view the show when the library is open. Library hours are: Monday 4-8; Tuesday 1-8; Wednesday 10-5; Thursday 9-5; Saturday 10-2. The library is located at 15 South Street; parking is available in back of the library. Recognizing that hunger is a real issue in our community, the children of Messiah Baptist Church in Brockton and of First Parish Unitarian-Universalist Church in Bridgewater are teaming up to help. They plan to conduct a food drive over the next month, gathering donations from their respective churches and from the community at large. They will then work in tandem with the food pantry at Messiah Baptist to shop for, package, and distribute food to those in need. Approximately 30 children, ages 3-16, will participate in this inspiring project, entitled We Can Help: A Child's Response to Citizenship and Community. For more details regarding donations, please check out www.firstparishbridgewater.org. Bridgewater State University has announced two amazing participants in this year's Distinguished Speaker Series. Dr. Benjamin Carson, a pediatric neurosurgeon, will present on February 8th at 7PM and Greg Mortenson, author of the book Three Cups of Tea, will present on March 25th at 7PM. These lectures are open to the public but tickets must be obtained from the President's Office by either calling 508-531-6123 or emailing presidentevents@bridgew.edu. To read more about each of these speakers, please click here.